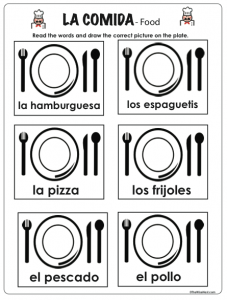 In our Spanish class, we will be learning some vocabulary words about food. 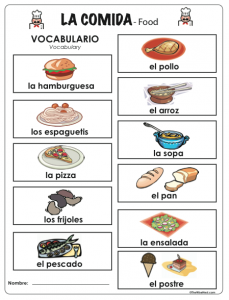 Below you will find a link to download a few worksheets to help your child review the vocabulary words. I am so glad I found your Spanish stuff!!! 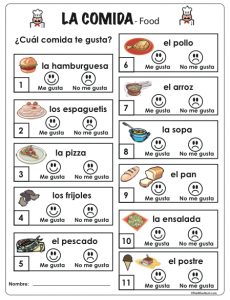 Is there a particular curriculum you use for Spanish or do you just create your own? I am glad you are able to use it.